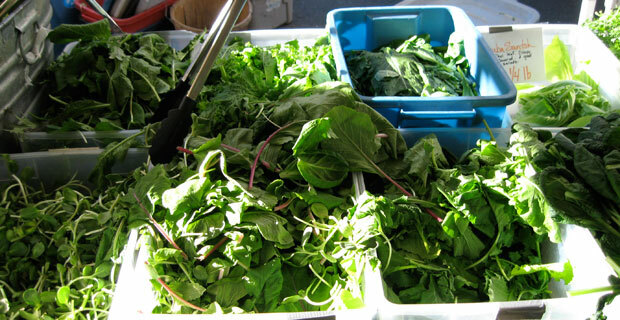 Greenmarket Coming to Battery Park City? Pretty soon, BPC residents may be able to buy fruits and vegetables so fresh they make the stuff at Whole Foods look the stuff from Gristedes (not that there’s anything wrong with Gristedes produce). Yes, folks, Battery Park City just might be getting its own green market in the not-too-distant future. Michael Hurwitz, director of Grow NYCâ€™s Greenmarket, recently met with Community Board 1’s Battery Park City Committee to discuss the prospect, and the committee was overwhelmingly supportive of his idea. There is currently a green market in Zuccotti Park on Tuesday and Thursday, and Hurwitz proposed moving the Thursday night green market to a much bigger location in front of 2World Financial Center. The new area would allow for 15 to 20 tents for farmers to sell their delicious produce, while the Zuccotti location only provides room for seven tents. The committee ate up the idea like so many freshly picked tomatoes. So why hasn’t said market come to, um, fruition? But don’t fret. Hurwitz and some Committee members think they may have found somewhere for the farmers’ trucks to park on Liberty Street and South Street, where parking normally is not allowed. Assuming this solution gets enough support, the Thursday green market could become a reality as soon as next month. And, if that succeeds, a Saturday market could get a Green thumbs up very, very soon. Смотрите residential window cleaning здесь.